PP Filter Bag, Polypropylene & Polyester filter bag in 1, 5 10 and 25 micron...200 micron and Nylon mesh filter bag in 25, 50, 100 micron... 1000 micron are available with liquid filtration. 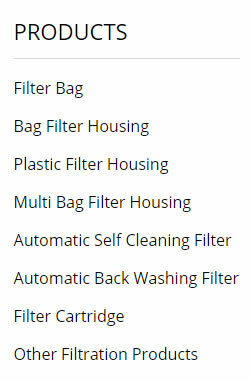 Single, Multi-Bag, Duplex Housings and Bag Filter Systems in China. Polypropylene & Polyester Filter Bag, felt bags are designed to withstand higher solid loading, and are suitable for applications using bag housing or open filtration systems. With the filter bags, you can count on a quality product every time. Monofilament Mesh is an extremely strong material with precise weaving to ensure consistent pore sizes. It is reusable in many applications. Nylon is the most widely used material. Nylon Filter Bags are available in micron ratings from 25 to 1000 microns. Customized Filter Bag, China Filter Bag supplier, Micron Nylon Filter Bag with Customized Size, Nylon is the most widely used material. Oil absorbing filter bag is made from 100% pure polypropylene micro-fibers combined with other proprietary oil retaining fibers. The overall construction of this bag has 30 plus square foot of media and can retain 10.7 or more of oil depending on the micron.